Jan. 16, 2019 – OPERS is part of the Investor Stewardship Group, a nationwide initiative designed to promote corporate governance best practices. The group has established a framework of standards that has been adopted as the definitive corporate governance code in the United States. ISG was formed in 2017 by 16 founding members representing $17 trillion in assets under management who developed the framework – standards of investment stewardship, corporate governance and boardroom conduct for the United States. Membership has grown to include 60 U.S.-based institutional investors and global asset managers with $31 trillion in assets under management. OPERS joined the ISG in early 2018. Its stewardship principles for institutional investors and corporate governance principles for U.S.-listed companies align with our program’s guidelines. We are excited to be part of the group’s marketing and governance committees. The Framework for U.S. Stewardship and Governance, which had not previously been defined, went into effect Jan. 1, 2018. The framework has been published in the CFA Institute’s 3rd Edition of Corporate Governance of Listed Companies, A Manual for Investors and the International Corporate Governance Network, and included in Ernst & Young’s 2017 report on stewardship codes. Matthew DiGuiseppe, a vice president involved with asset stewardship at State Street Global Advisors, said the stewardship group has partnered with the John L. Weinberg Center for Corporate Governance at the University of Delaware, which serves as the Framework’s home. “The Weinberg Center is working with ISG on its ongoing governance, creating a process for future revisions to the framework, facilitating our communications strategy and convening meetings and conferences,” he said. Beyond these achievements, the framework gained significant traction from investors seeking to encourage companies to disclose how their governance practices aligned with or differed from the framework. In addition to State Street, they included Prudential Financial and Regions Financial Corporation. The stewardship group and the Weinberg Center will hold the first ISG/Corporate Issuers Conference on Sept. 13 at the University of Delaware. “It will be an important educational and networking opportunity for investors, board members and other corporate representatives,” said Donna Anderson, head of global corporate governance at T. Rowe Price. 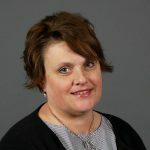 Patti Brammer is OPERS’ Corporate Governance Officer, providing leadership, strategic planning and policy guidance to OPERS’ corporate governance functions. She co-chairs the Council of Institutional Investors’ Shareholder Advocacy Committee and is a member of the Thirty Percent Coalition and the Investor Stewardship Group. Patti joined OPERS in 2003 as a Finance division management team member. I do not fully understand what the Investor Stewardship Group will do for OPERS. Sorry, but i do not think it is a good idea to use OPERS members’ money to leverage a particular group’s ideas of “definitive corporate governance “. 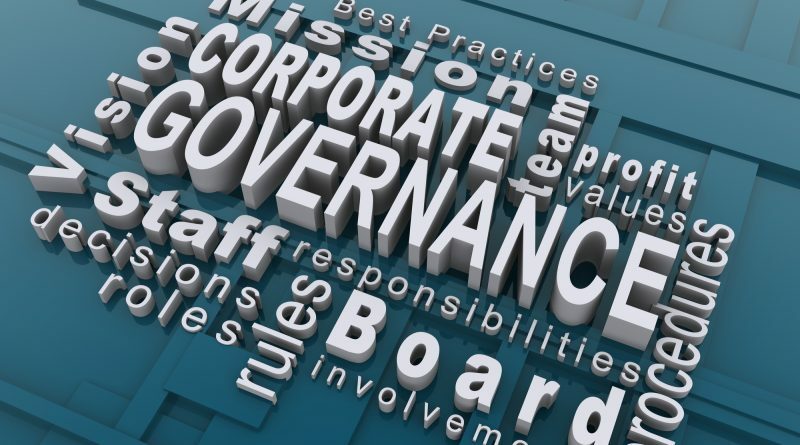 The OPERS Corporate Governance program focuses on adding value to our investment strategies and creating strong relationships with the public companies in which we invest by effectively voting proxies and responsibly participating in associated corporate governance activities, industry groups and coalitions. The Corporate Governance department votes proxies, according to our guidelines, for about 10,000 company meetings each year. You can learn more on the OPERS website at https://www.opers.org/investments/corporate-governance/index.shtml.